Christmas is three weeks away. It’s not a popular time of year to think about lawn care. Of course, before we know it spring will be here. Let’s take this lawn “down time” to review some simple lawn care tips. “Simple” is the key word here. You can get a lot out of your lawn with a little bit of “green knowledge”. · Make sure your equipment is ready. 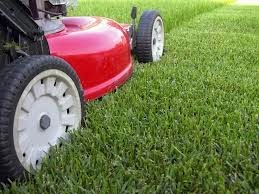 It’s a good idea to maintain your lawn equipment so it’s ready for use and you don’t get any surprises when you really need a piece of equipment. Check the oil on lawn mower engines. Make sure there is gas in the engine. Check filters. Clean grass or leaves off equipment after each use. · Stay safe. You want to make sure you have safety equipment on hand. We’re talking about basic things like goggles and gloves. When a piece of safety equipment becomes damaged or old, make sure to replace it right away. · Start with the biggest task first. If lawn mowing is the biggest part of your yard chores, do that first. Get it out of the way. · Move on to the next biggest task. This may be bagging cut grass, trimming hedges or raking the yards. We understand yard work can be time-consuming. If you've got able-bodied family members, consider making some of these chores a group activity. · A hydrated lawn is a healthy lawn. Set up and maintain a watering schedule for your lawn. There are some things you may want to do that go beyond these steps. If you have a water irrigation system, take the winter to look over your equipment to decide if any of the sprinkler system parts need to be replaced. Decide if you want to make any changes or additions to your sprinkler system. Make a list of some of these steps then check it out again once spring rolls around.